On Tuesday 29th March the Designplaftorm Flanders was officially launched at the well-attended first Design Summit of Flanders. Following an opening interview with Bernard de Potter, General Director of The Enterprise Agency in Flanders, Kris Peeters, Minister-President of the Flemish Government and Minister of Economy, Ingrid Leiten, Viceminister-president of the Flemish Government and Minister of Innovation and Joke Schauvliege, Flemish Minister of Environment, Nature and Culture, agreed to support and facilitate the development of the design platform. At the close of the event, they witnessed the six participating design organisations together signing the Charter for the Designplatform Flanders. The Charter can be found here and the six partners of the Designplatform Flanders can be found here. To position design as an essential means for the transformation of Flanders into a creative, competitive, multi-faceted and human knowledge economy, in order to create in a permanent manner, prosperity, employment and a friendly society within the context of the global challenges. I had the honour to be invited to the stage during the ceremony to speak briefly about the first workshops, as well as the positioning of the initiative in an international design policy context. I referred for example, to the founding members that catalysed the creation of the Hong Kong Design Centre; the ‘One-Voice’ workshop which I ran some years ago in South Africa with the Design Institute. In many countries, design organisations are numerous and fragmented. Flanders is taking a lead position in showing how organisations can come together to inspire new synergies that position themselves more powerfully internationally and create a clearer focus for design and design thinking for their own governments, industry and society. I also took the opportunity to refer to the way in which DESIGN CONNECT's facilitation of meticulously planned visioning workshops, (rooted in learning theory and design methods), can help a diverse range of participants to find their 'common ground' from where they can then springboard to new forms of conversation that would have previously been difficult to achieve. Even now, at the time of its launch only one year after the original visioning workshops, the Designplatform Flanders has already achieved something remarkable. It has galvanised the Flanders’ government to commit to design as an important and integral aspect of economic growth and social wellbeing, (particularly in a time of recession). And this was evidenced by the willingness of three senior Ministers to witness the signing of the Charter and publicly, through impressive speeches, to commit themselves and their departments to supporting and fostering design as a strategic tool for growth and well being in Flanders. There is still much for the platform partners to do over the coming months, but the mandate is clear and the ground has been set. I congratulate all the participants on the journey travelled so far and wish the Designplatform Flanders every success as it moves to its next stage of development. The Design Summit website is here. Last year, on 23rd March 2010 and again on 28th May 2010, I had the privilege to ahape and facilitate two workshops with the key design organisations in Flanders at the request of Johan Valcke, Director of Design Flanders (which sits within the Economic Development agency of Flanders). The workshops were held within the national context of Flanders’ economic vision, PACT 2020, which states the goal for Flanders to have a competitive and multi-faceted knowledge economy driving sustainable prosperity and welfare with increased employment, regained share in export markets, more widely and better distributed innovation (R&D spend up to 3%) and a top 5 entrepreneurial culture with more enterprises being formed creating more growth opportunities. 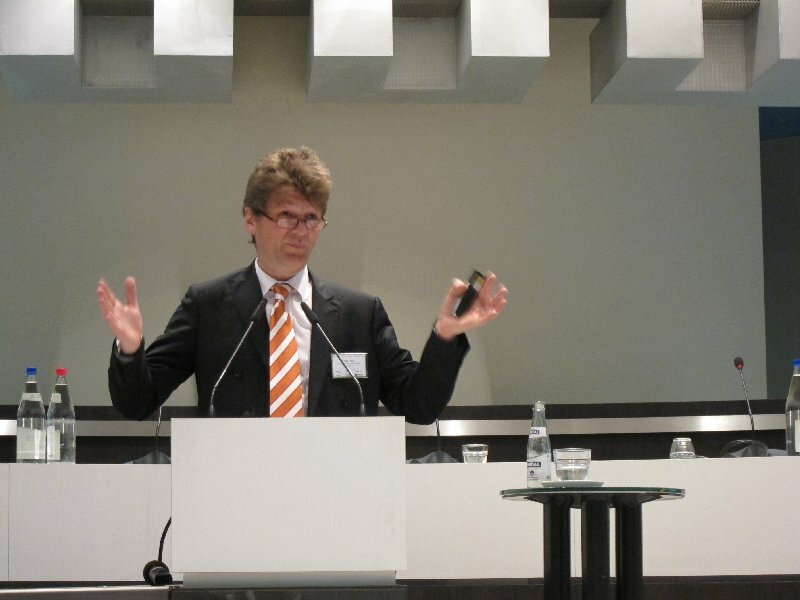 "The Council invites the Commission and Member States to give special attention to design considering its leverage effect on innovation performance, taking into account economic, social and environmental sustainability aspects and stresses the need to establish platforms for exchanging knowledge, experiences and best practices on design issues as a competitive advantage for European companies". The workshops brought together 13 organisations, (the economic development agency Agentschap Ondernemen, Design Flanders, Flanders in Shape, Flanders DC, Flanders’ Fashion Institute, Designcenter De Winkelhaak, Designregio Kortrijk, C-mine, Humin, OVAM, IWT, VVSG and FIT), to map out, acknowledge and interogate the current design landscape in Flanders. The goal was to explore and invent a variety options of what could be done to raise design’s profile and to make it a more powerful driver for transformation in Flanders’ economy and society. The first workshop, (with DR Gisele Raulik-Murphy, then of Design Wales, and Špela Šubic of BIO, Slovenia also particpating), showed how, through an open and carefully facilitated process, representatives from different organisations with different focuses of activity and points of view, can come together to shape a vision for design that was bigger than each of them alone. As we moved through the workshop, it became clear there was a powerful dynamic in the room driving a shared understanding of design’s potential for transforming Flanders through a better uptake and integration of design and design thinking. But how could this best be done? 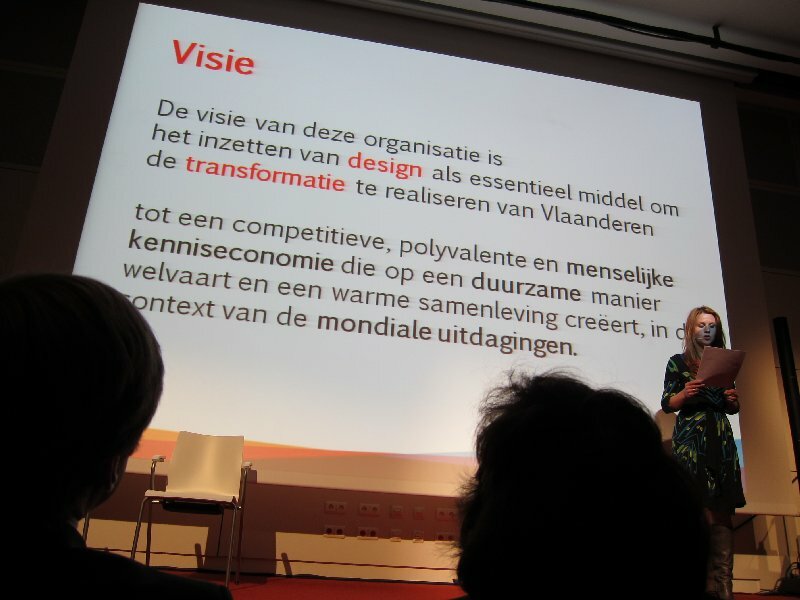 What was the mix of competencies across the different organisations that, if harnessed effectively, could enable a shift in the perception of design by Flanders’ government and society? How would the design landscape be re-shaped to empower new opportunities? What would the notion of a 'design platform' look like? What is our shared vision for design? By the end of the first workshop, the participants had generated and explored a number of compelling ‘vision ingredients’ for a design platform for Flanders. They had also agreed to maintain the thinking and discussion on what sort of model/s the platform may follow; to set up a draft vision and to test it with other stakeholders and finally to map the network by size, skills, competencies as well as areas of activity. Two months later, during the second workshop in May 2010, what needed to happen next to achieve the vision to create a stronger mechanism or platform for design in Flanders became clear in a truly inspiring (even breath-taking) moment of revelation and shared recognition. Six of the organisations agreed to combine their networks, skills, competencies and people into a single platform for design in Flanders. This was a very exciting and defining point of change - itself bringing a new confidence and self-belief - from which a huge amount of positive energy and good will has since flowed. Having come to this momentus decision, the work of building a shared vision and a set of values alongside mapping out the pragmatic necessities of the idea formed the remainder of the workshop. These two workshops, which I had the privilege to lead, were followed by many months of subsequent planning and a wide consultation process conducted by the workshop participants. This involved workshops across the country to explore, enrich and embed the idea of the Designplatform Flanders. As a consequence, and only one year after the first workshop, the launch ceremony of Designplatform Flanders was held in Brussels on 29th March 2011. This event will be the focus of my next blog. The concluding conference of the Interreg 4C-funded EU project on regional design policies, SEE, was held in Brussels on Tuesday 29th March 2011. Opened by the Director of Design Flanders, (and BEDA Board Member), Johan Valcke, the event offered the international delegates a broad range of insights into regional and national design policies from the perspectives of both cities and countries. Presentations included insights and information from Antwerp, (Mayor Patrick Janssens), New Zealand, (Judith Thompson), Wales (Gavin Cawood – also lead organiser of the SEE programme under the auspices of Design Wales), and Denmark (Anders Byriel, Chair of the Danish Design Centre), as well as an update on design and the European Design Initiative by the Commission's then Head of Innovation Policy, Peter Dröll. (Peter moved to a new innovation position in the Research Directorate on 4th April). I want to limit my report and comments to Peter’s speech on current progress regarding the development of the European Design Initiative as a component of the Innovation Union flagship initiative of Europe’s five year strategy for jobs and growth – Europe 2020. As I have blogged previously, design has been included for the first time as an integral component of the strategy since October 2010. We need to capitalise on Europe’s creative potential. This increases dramatically the role of designers, because, if we have a broader understanding of innovation, we need more power for design and design thinking in companies as much as in the public sector'. Design thinking, as it is understood here, is a human-centred tool to confront complex societal challenges for economic and social welfare. It was against this background of competition and barriers to the uptake of design, along with the mandate arising out of the research and consultation, that the Commission launched the European Design Innovation Initiative. Peter was at pains to emphasise that this has a strong endorsement by the Council of Ministers and by Member States. The European Council also talks now about a broad concept for innovation and the need for a strong push for innovation within which design is seen as an integral element. Having set out the context, the problem and the instruments with which to tackle the problems, Peter then turned to outlining what success would look like in 2020. • There would be a shared vision for design thinking in Europe. innovation. (Currently, he added, policies are still too focused upon traditional innovation support). • The design profession would go beyond product design to fully embrace design thinking. • In education and academia, there would be a shared understanding of how to teach design thinking. Whilst I may have some queries around the details, for example regarding the indicator for design consultancies, there is nevertheless, at a high level in the Commission, an intellectual acceptance of the need for design to become embedded and strengthened at the European level. We have arrived at this situation much more quickly than I would have ever thought possible. This is very encouraging – all the more so, when reinforced by Dröll’s statement of the Commission’s vision for design. Our vision would be that in 2020, design is a fully acknowledged, well-known, well-recognised element of innovation policy across Europe, at the European level, at the national level and at local level. Design is on the agenda at the top table. But what is going to be done to deliver the vision? The Commission announced in September last year the setting up of European Design Leadership Board to provide the Commission with a vision for design and direction on the actions needed to achieve the vision and objectives within the design initiative. Supported by the Secretariat established by the Commission at the Designium Innovation Centre of Aalto University in Helsinki, the Leadership Board will be comprised of 15 members representing umbrella organisations related to companies, design agencies, national and/or regional and European design organisations, academia and industry. It is anticipated that an announcement of the board membership is imminent. Although only 15 members strong, Peter alluded to the Facebook concept of ‘inviting friends’, with a strong emphasis from the Commission on the need for the Board to draw upon a far wider pool of knowledgeable, expert contributors who could be invites to Board meetings. Further to the Design Leadership Board and the appointment of the Secretariat, before August of this year, the Commission is committed to launching a call for proposals totalling €3m, (to be funded by the CIP programme), for actions to launch the first part of the European Design Initiative. Whilst declaring that he did not know what actions would emerge, Peter nevertheless took the opportunity to outline two initiatives that he considered as indicative of what might be feasible. The first concerned a labelling scheme for responsible design which would go beyond product design and the second related to tackling difficulties in evaluating return on design investment. This latter action would engage in working upon a new kind of methodology to evaluate the return on design investment and design thinking. Peter concluded his presentation re-iterating that Europe has a strong tradition in creativity as much as in design. We need to use that tradition to define Europe’s place in the rapidly changing, global economy. Design can provide fantastic leverage for Europe’s innovation systems to become more effective for social and economic welfare. Of particular interest in this speech was the new emphasis on design thinking, as well as the need to integrate the public sector into the programme. Both of these strands, offer avenues of approach for the Design Leadership Board to consider although in terms of European-level action whilst a labelling scheme may seem attractive in raising awareness, there may be other more fundamental drivers which whilst perhaps not as visible to the citizens of Europe at this stage, would nonetheless enable a deeper more sustainable approach to embedding design by 2020. I am thinking here for example of methods by which Member States could be encouraged to make use of the revised Nace Code for design - M74.1, (again thanks to BEDA’s pioneering work back in 2007-2009) through which we can begin to gather comparable statistics on design activity and its economic value across Europe. Other areas may relate to skills and competence raising as well as opportunities, for example, to strengthen Europe’s network of national and regional design promotion organisations across ALL Member States– distributing the change management process to embed design more powerfully, out to the key and established actors within the Member States. Thanks are due to Gisele Raulik (formerly of Design Wales), Ingrid Vandenhoudt, (Design Flanders) and the other members of the SEE Programme who made this conference a success.